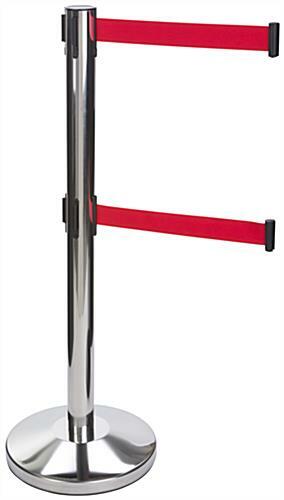 This dual belt chrome stanchion receiver is perfect for banks, airports, or post offices. 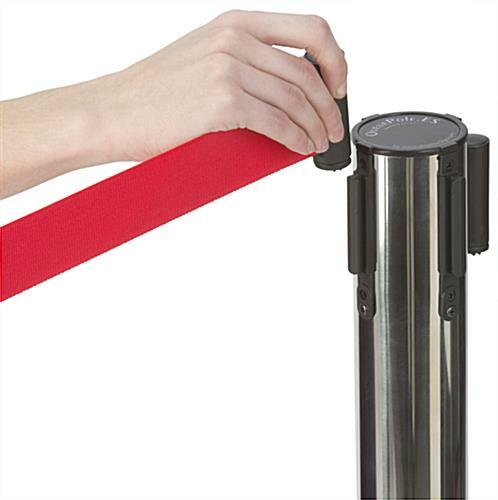 The retractable post has two red straps to prevent people from cutting in line and controlling incoming traffic for your business. 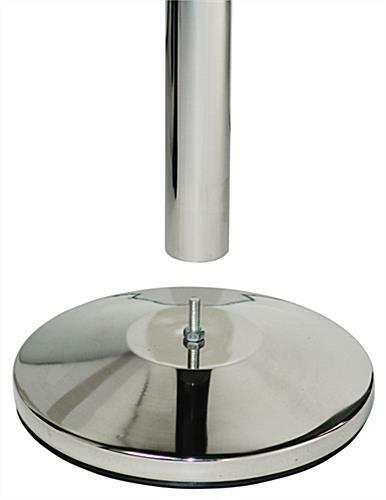 The polished chrome stanchion includes a weighted base to keep the accessory from being knocked over from high volume crowds. Create a controllable environment for your company by attaching multiple units together while organizing a perfect assembly system. These stanchions are ADA compliant and add guidance to assist the visually impaired. Place these retractable post accessories at your organization to establish a systematic and businesslike experience!